The week leading up to Mother’s Day is so fun! 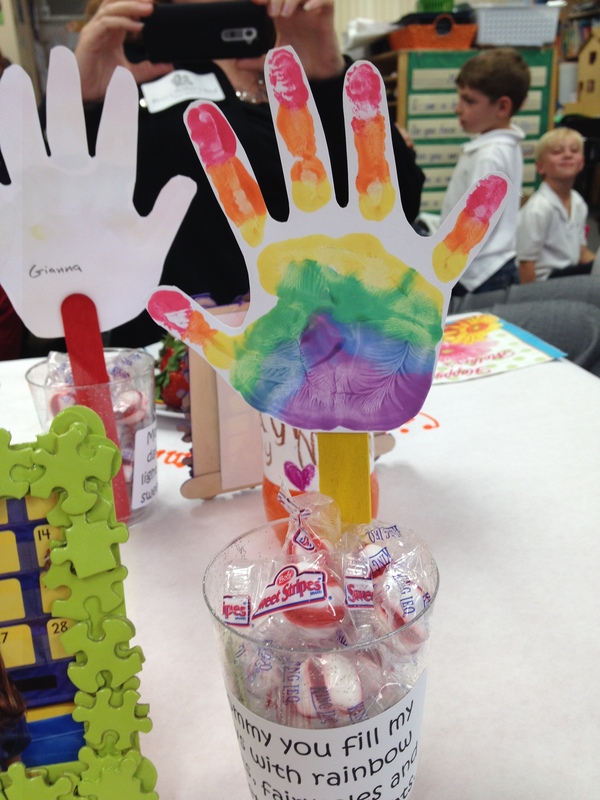 Today I joined all of the mommies of Sienna’s classmates to be honored by our sweet Kindergarteners. 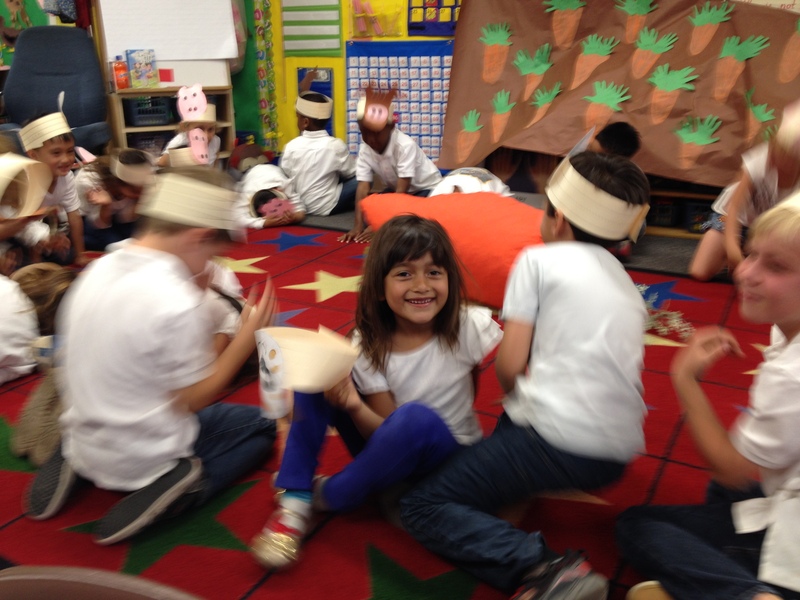 Their class put on a play called “The Enormous Carrot”, sang us songs, and made us gifts. 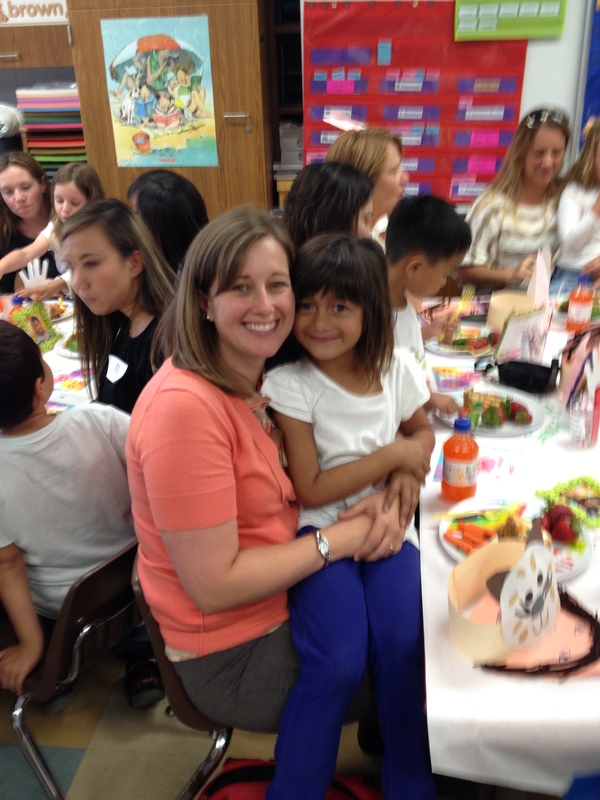 All the moms were ushered into the classroom and seated at the kids’ small tables. We found our places by locating the picture of our child along with the name we’re known by around campus: “Sienna’s Mom”, “Leah’s Mom”, etc. 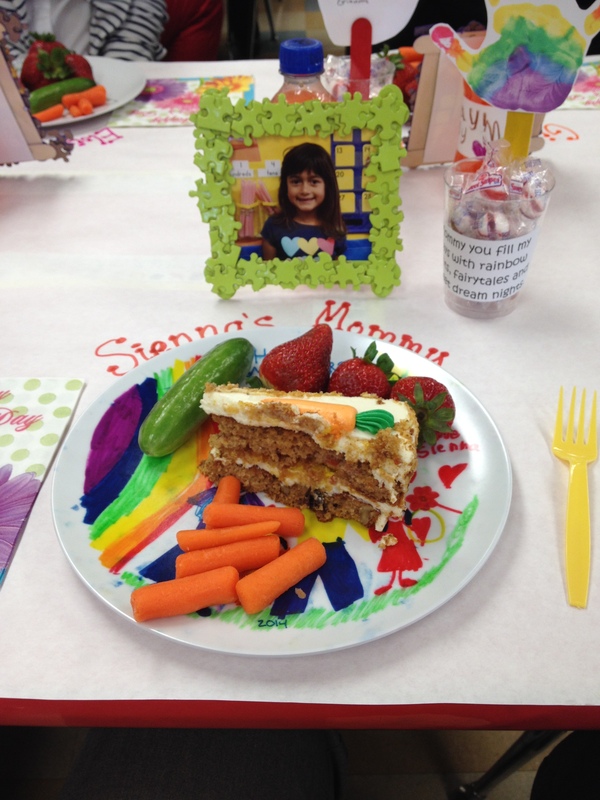 At each place setting was a plate made by our child with a slice of carrot cake (keeping with the theme), a small bottle of orange soda, and some healthy treats. The performance was adorable and well done! But, the best part was when their teacher read aloud each child’s description of their mom. The sheet prompted the kids to put their mom’s name, height, weight, favorite food, and favorite activity. She read the last four items first and we were supposed to guess who it was. Most of the kids had outrageous heights (over 20 feet was common) and weights that were all over the map (the largest of which was 100,000 pounds!). Sienna wrote: “My mom’s name is Kelsey. She is 5 feet tall and weighs 8 pounds. Her favorite food is soup. Her favorite thing to do it play Barbies.” I asked her later if she sees me eat soup often (I don’t) and she replied, “You do when you’re sick.” Fair enough. Then she said that Barbies are my favorite because I just gave her all of my old ones and play with her sometimes. So sweet! The whole after-noon was very touching. I loved watching all the moms gaze at their children so lovingly and the kids beaming at their moms with joy. I was smiling constantly for a full hour! But, the thing that got me most misty eyed was when I first arrived and Sienna’s teacher leaned in conspir-atorially to tell me: “Sienna was really concerned and told me that you can’t drink the soda. If you want something else, I have bottled water too.” Earlier in the week, Sienna told me that she suggested some healthy food and drinks for the event because her mommy “can’t have that stuff because of her diabetes”. It’s hard to describe the feeling of having my daughter display this kind of insight and concern about me. Being a parent and having diabetes each cause emotion in their own right – put them together and it’s kind of overwhelming. I hate that she would worry about me but then I feel proud that she’s thoughtful and aware of my disease. Mostly, it just makes me feel how much I love my sweet girl. 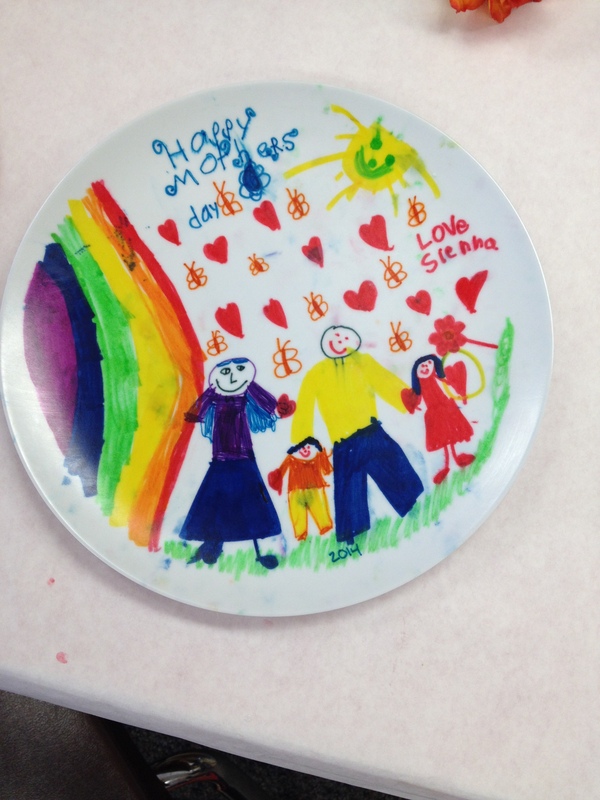 On Friday there’s a Mother’s Day Tea at the preschool. Can’t wait to have special mommy time with Teo too!